With over 25 years of experience, DFX is your one stop solution for any and all of your A/V needs. We are a group of professional technicians, project managers, service and sales people who are dedicated to the success of your installation or event. From design-build, value engineered solutions to full-service integration, training and maintenance, DFX is committed to being your systems provider and will work with you every step of the way. DFX provides A/V and lighting installation, set-up, automation, rental and delivery services, both nationally and internationally. We support our clients with personalized customer service throughout the entirety of each project, and offer continuous support after projects have been completed. Our mission is to provide quality service and products while understanding and catering to the unique circumstances and needs of each individual client. We strive to lead our clients to success through affordable and comprehensive products and services. DFX originally began as a two-person DJ company in 1986, performing at local bars and bowling centers Thursday through Saturday nights. To set themselves apart from other DJs, DFX installed its own speakers and sound equipment for free, and eventually established several long-term customers. In the mid-90s, the regional manager of AMF Bowling asked for an estimate for their Reading, PA center. DFX got the job, and wound up doing 13 more AMF locations. We have been providing installation and services to Qubica/AMF ever since. In the late 90s and early 2000s, DFX focused on acquiring more sound, video, and lighting equipment for production and rental services. The DJ side of the business ended in 2007; DFX had grown so quickly into other areas of work that maintaining DJ services was no longer feasible in light of the company’s expansion. This allowed DFX to spend more time and resources improving its A/V and lighting work. We now offer full automation through Crestron control, and we’ve developed our own video MASQ system. We’re continuing to expand our services to family entertainment centers, local school bid projects and smart classroom projects, special events, and many other types of venues and clients. Mike is one of the founding partners of DFX. He’s been an integral part of the design and engineering team over the years, working on all types of audio, video, lighting, and automation systems. Mike works with entertainment and bowling centers to put together custom systems to meet each client’s specific needs. His work can be seen all around the world. Mike is the father of twin boys and loves spending his free time with his family. Gene and Mike Bovino created DFX over 20 years ago, initially as a Disc Jockey company. They have since grown out of the DJ business and developed DFX into a full-service sound, video, lighting, and automation company. Gene is involved in several different areas of DFX, including sales, purchasing, operations, and public relations. Drew has been a part of the DFX team since 2000. He originally started his career at DFX as a shop maintenance worker, but soon developed a greater interest in all aspects of the A/V industry. This led him to his current position, which involves oversight of the entire installation process, from layout to system commissioning. He prioritizes client communication and keeps in contact with each customer from start to finish. Drew is a Certified Technical Specialist (CTS), and is also certified to service HES, Martin, and JBL. Outside of work, Drew is interested in motorcycles and cars, and his hobbies include carpentry and metal fabrication. Rene attended film school and was drawn to the creative process and teamwork involved in video production. She freelanced for a number of years and eventually joined the audio/visual industry, where she is able to draw upon her creative skills and be part of unique team of talented technicians. Rene received her BFA in Film/Video Production from the University of the Arts in Philadelphia, PA, and is a Certified Technical Specialist (CTS). 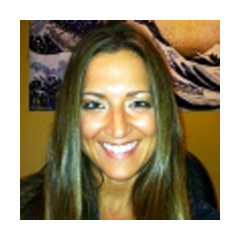 She has been with DFX since 2004, and works part-time as a videographer at the Electric Factory in Philadelphia. Ed joined the DFX team in 2007 and has built the service department up to handle the high volume of repairs it does today. He is certified to service High End, JBL, Martin, and QSC product lines and works with manufacturers on a daily basis to process warranties. He also runs the service exchange program. Ed is a hometown Philadelphia sports fan and enjoys watching the Eagles and Phillies. Pat has been the controller and head of accounting at DFX since 2002. Previously, she worked as a full-time bookkeeper. She has over 17 years of experience as a Community Youth Theatre Program Director. She loves seeing Broadway shows and learning about latest sound, lighting, and video technology. Pat is proud to be an integral part of building a successful company over the years and is happy to be working in the entertainment industry. Gil has been serving clients as the rentals and productions department’s sales manager since 2013 and has been involved in technical theatre for over ten years. He oversees outreach, sales, and design of jobs within his department. Gil is also the department’s principal lighting designer, with a focus on High-End Systems’ product range. After college, Gil began to seek stage work, eventually finding a place as the Atlantic City Ballet’s production manager from 2010 to 2013. Outside of work, Gil enjoys attending plays/musicals, playing video games, and a myriad of other nerdy hobbies.